We earn money from clicks or purchases made via product links in this post. This easy and delicious baked BBQ shrimp recipe is perfect for lent or any occasion! It’s one of our favorite easy shrimp recipes. 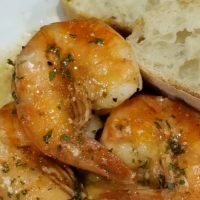 The first time I had this baked bbq shrimp recipe was for New Year’s Eve when our friends made it. My husband and I just looked at each other…they were addictively delicious! They’re just a little spicy, but have an amazing flavor, and you end up with an awesome broth to soak up with fresh bread. Oh, and they’re SO easy to make…just season with some common ingredients and bake for 15 minutes. Although I love cooking, with three young kids and a crazy family schedule, I just don’t have time to get into complicated recipes or cooking techniques. I just love the two step process of baking…prepare your food and toss it in the oven to cook while you take care of the kids and your other household chores. 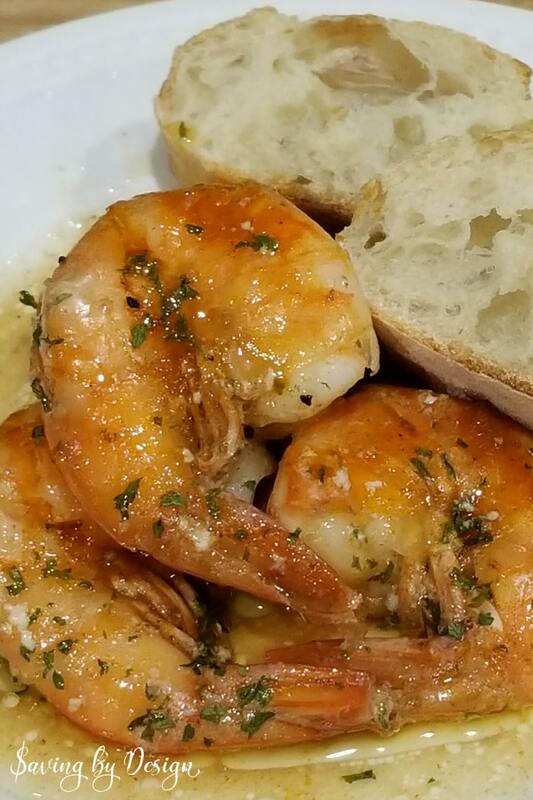 Baked shrimp soak up tons of flavor, cook to perfection, and can be on your dinner table in less than 20 minutes. 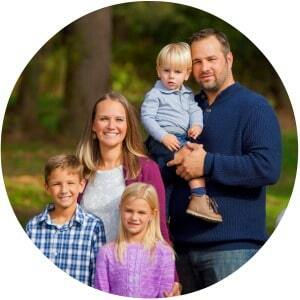 Join Our Food & Recipes Newsletter! Do you like easy and delicious recipes? 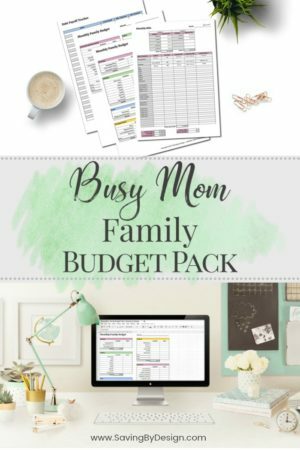 How about the best ways to save on groceries and how to make the most of your time with meal planning? Then subscribe to my Food & Recipes newsletter! 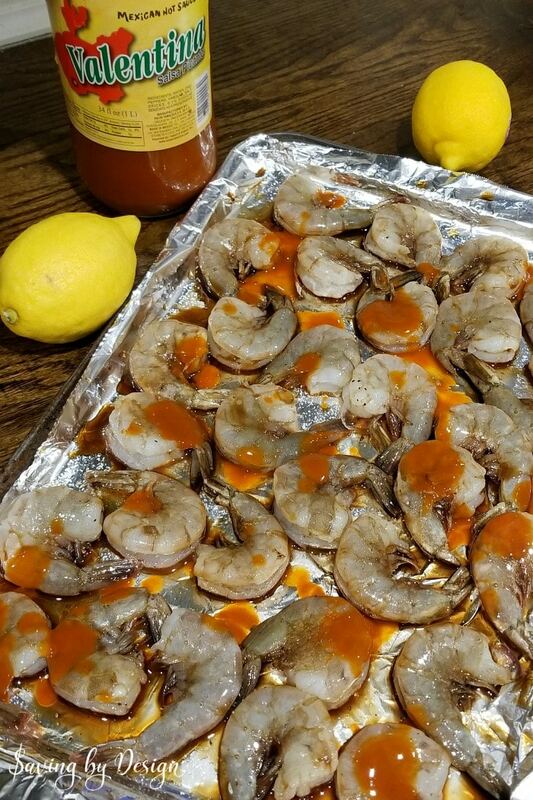 Making your baked barbecue shrimp couldn’t be easier…just thaw, season, bake, and enjoy! 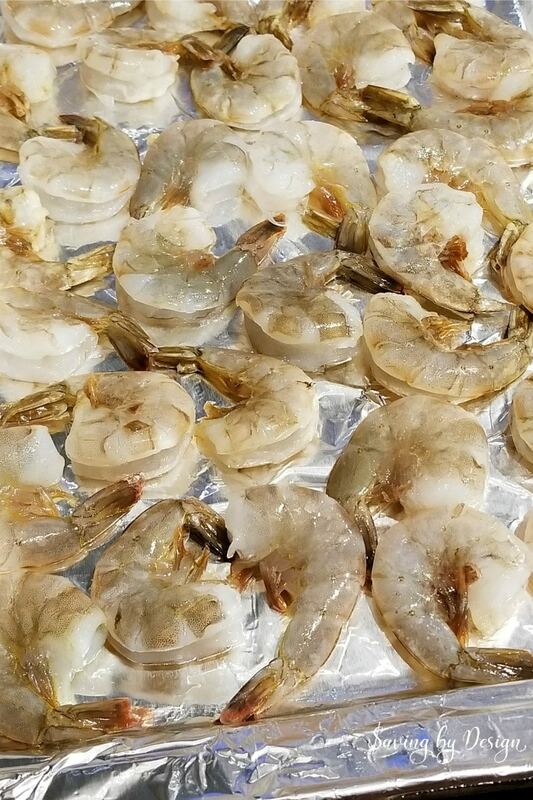 To get started thaw your shrimp and spread them out on a non-stick baking pan or one lined with aluminum foil. 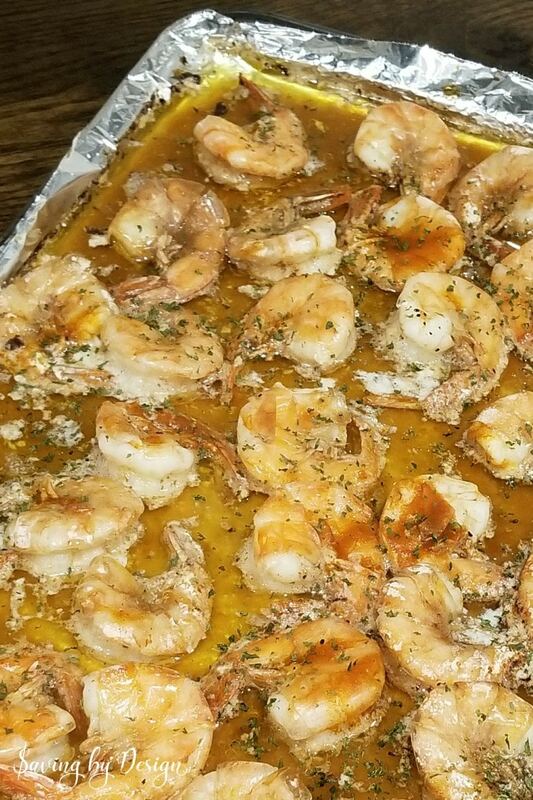 I can usually fit about 2 lbs of shrimp on each pan, so if you are making more than that you’ll need to use additional pans. Season the shrimp with salt and pepper (fresh cracked blacked pepper is best). Then give them a good dousing of Worcestershire sauce. Next up is the secret ingredient – Valentina hot sauce! This gives the shrimp a little kick and tons of flavor 😉 You want to at least try to get a little hot sauce on each shrimp. Obviously the more you use, the spicier your shrimp will be. 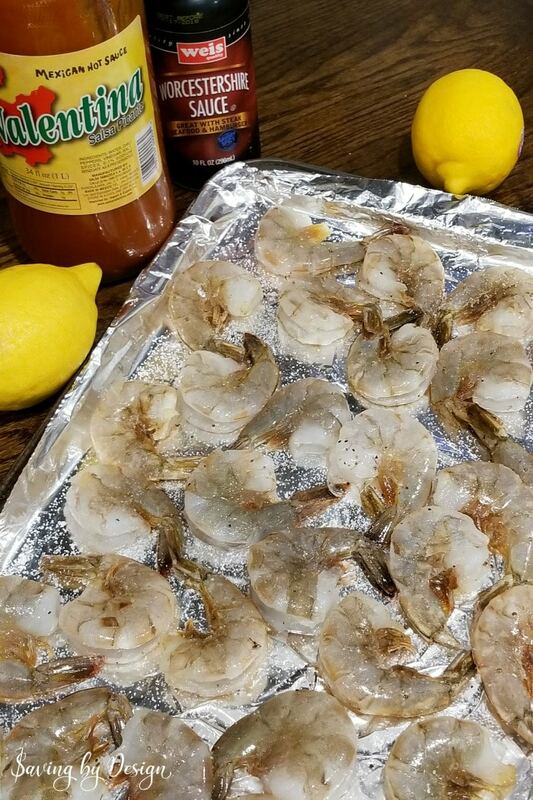 For that yummy fresh flavor, squeeze the juice of 1-1/2 lemons on your shrimp. Finally, drizzle them with olive oil, top with butter slices, and bake. In no time you’ll be enjoying amazing peel and eat shrimp! 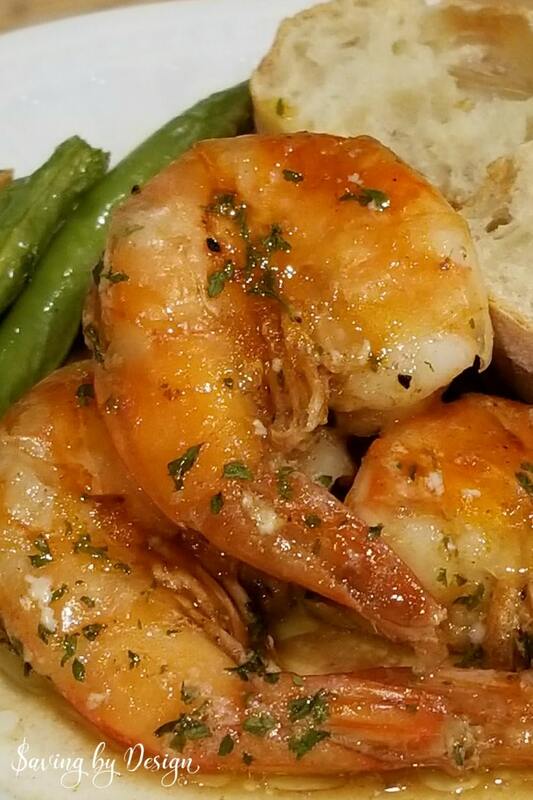 For special occasions or parties, we like to serve our shrimp as an appetizer or part of a buffet. But they are also amazing for dinner, especially for meatless dinners during lent, served with veggies and crusty bread to soak up the sauce. This easy and delicious baked BBQ shrimp recipe is perfect for lent or any occasion! It's one of our favorite easy shrimp recipes. 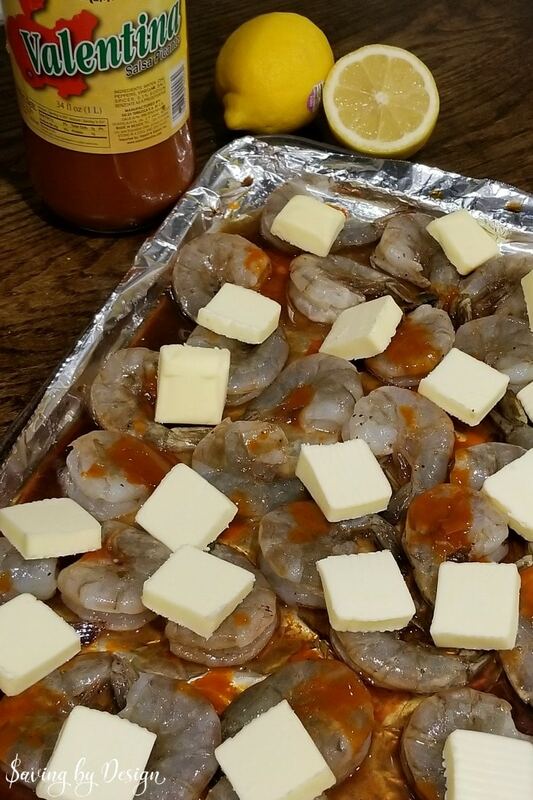 Thaw shrimp and spread them out on a non-stick baking pan or one lined with aluminum foil. I can usually fit about 2 lbs of shrimp on each pan, so if you are making more than that you'll need to use additional pans. Drizzle with Valentina hot sauce. Try to get a little hot sauce on each shrimp. The more you use, the spicier your shrimp will be. 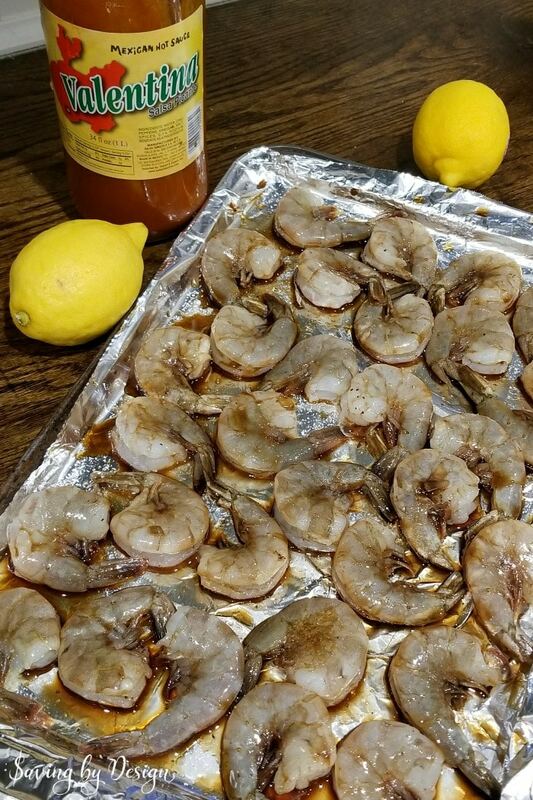 Squeeze the juice of 1-1/2 lemons on your shrimp. Finally, drizzle with olive oil and top with butter slices. Bake in 350 degree oven for 15 - 20 minutes. Shrimp will be opaque when thoroughly cooked. Garnish with parsley flakes if desired. « Homemade Laundry Detergent – The Best Laundry Detergent You’ll Ever Try! I expected these to be spicy because of the hot sauce but they really aren’t…just tons of flavor! Great, easy barbecue shrimp recipe!